Applications are invited from suitably qualified candidates for appointment as intern pharmacists, medical laboratory scientists, radiographers, dental therapist, dental technologist, physiotherapists. 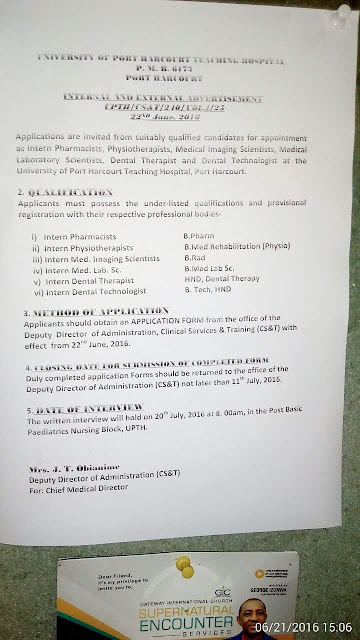 Application method obtain form from deputy director, clinical service and training with effect from 22-06-2016. Previous articleUpdate on Garki hospital Abuja. Next articleUpdate On Ministry Of Health Akwa Ibom.